Generator Contractor Industrial Adapter Cord. NEMA 5-15P to NEMA L5-20R. 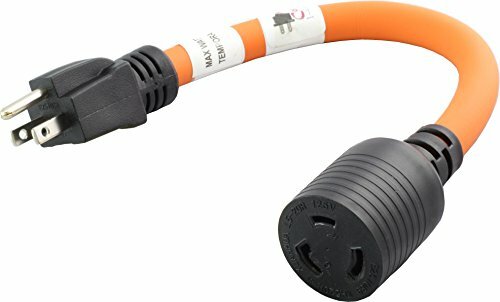 15Amp Household straight blade male plug to 20A Locking connector. 1FT STW 12/3 Anti-Cold Weather Cord. It Stays flexible in Cold Weather.